An immeasurable amount of expertise goes into developing and maintaining a teaching career. As an aspiring educational professional, you know this better than anyone. A large part of teaching involves not only being well-versed in a particular set of subjects, but knowing how to conduct yourself in a classroom and interact with students so you can meet their educational needs as thoroughly as possible. 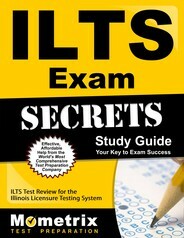 To ensure you’re up to snuff, the state of Illinois requires all incoming teachers to take the ILTS, otherwise known as the Illinois Licensure Testing System. Like other tests of its kind, it is meant to gauge whether aspiring educators are ready to begin their professional careers, and divides up into a broad range of subjects to match every possible field. If you’re on this page, you’re likely on the hunt for resources to help you study for the ILTS Assessment of Professional Teaching (PK-12) exam. The ILTS Assessment of Professional Teaching (PK-12) test pertains to the technical aspects of teaching. It is less concerned with subject knowledge and more with your mastery of how to teach—a notion that is reflected through its material. This test is made up of 122 questions in all. Two of them require essay (“constructed-response”) answers, while the remaining 120 are multiple choice (“selected-response”). Each of these questions falls under one of four subjects: Professional Environment (15 percent), Development and Learning (20 percent), Instruction and Assessment (25 percent), and Learning Environment (20 percent). To perform to the best of your abilities on this important exam, you may want to study as thoroughly as you can. The Mometrix Test Preparation team is here to help with this pursuit through our ILTS Assessment of Professional Teaching (PK-12) practice test. 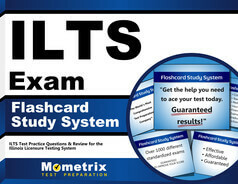 This study tool is 100 percent free for you to use whenever you need it, and is designed to familiarize you with the contents of the actual exam. Through our practice test, you can get to know how the real test works and how to approach its material. We hope you will choose to incorporate our practice test into your study plan. It pairs well with our companion ILTS Assessment of Professional Teaching (PK-12) study guide, also found on this page. Work hard, and good luck!